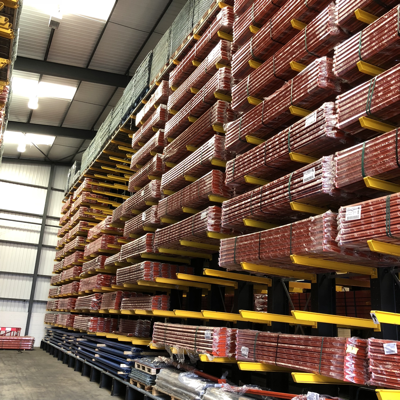 Steel Shelving Archives - Shelving & Racking Ltd. This offer is for 10 bays of used Dexion shelving and includes delivery to any UK mainland address. 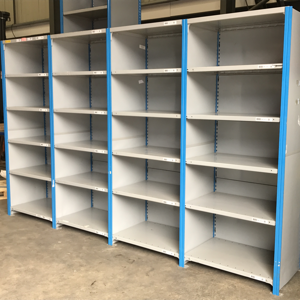 We have hundreds of bays of used Dexion Impex steel shelving in very good condition and ready for quick dispatch. This offer applies only while current stock is available. For other quantities, or to discuss your options, please call us now on 0800 612 3210 or send us an enquiry. 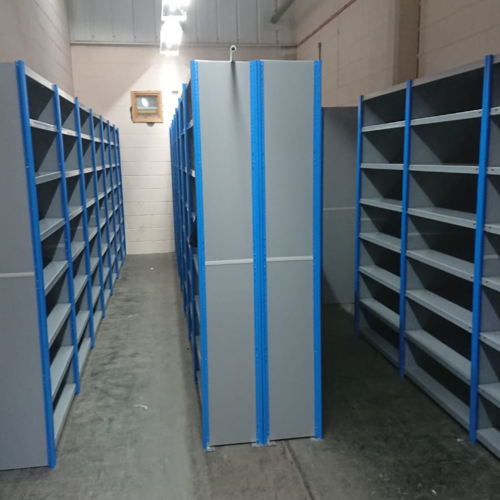 This offer is for a run of 4 bays of new steel shelving with 6 shelves per bay. Each bay is 1830mm high x 1000mm wide x 450mm deep. The maximum shelf loading is 100kg UDL. Shelves can be raised or lowered by 25mm increments, making this system exremely versatile. This medium duty system is ideal for storing small hand-loaded items in any industrial, manufacturing or office environment. 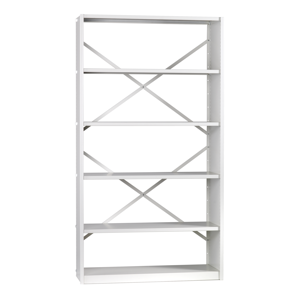 This offer for steel shelving is for one week only or while stock is available. Click here to enquire about this offer, or call us on 0800 612 3210 if you would like to discuss your options.